This doesn’t look great yet because it’s mid-process but once finished and blocked it will be a gift worth giving. I started this yesterday morning on my way to work, but not before watching a youtube tutorial on something called “foundation double crochet” which is a better way of starting crochet projects that I’ve been putting off learning. 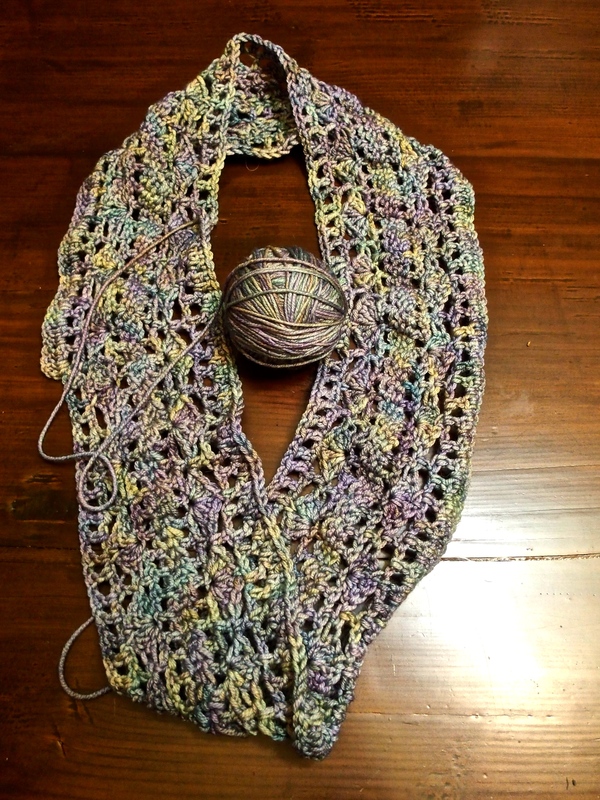 For some reason it seemed too complicated, but once I watched the video and practiced for five minutes I got it together – and did 168 foundation double crochet stitches on the bus ride to work. It’s a rare day that I don’t learn a new thing, and some days the new thing I learn is really exciting to me. This was one of those things. ← Post #1959: Even if the apocalypse doesn’t arrive….